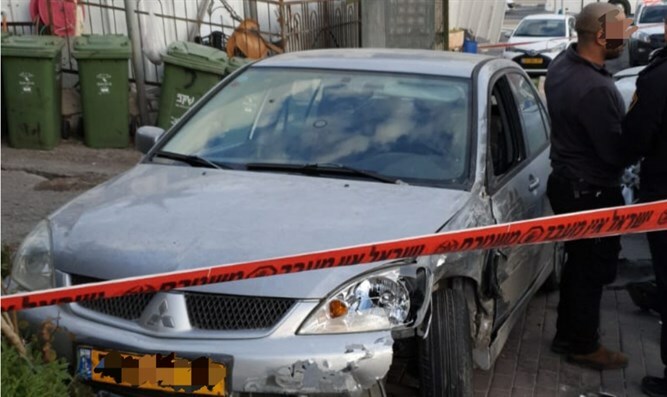 Two Arab city residents with pistol and ammunition arrested; during escape attempt two policemen run over and another policeman hit. An operation to locate arms held illegally in Umm al-Fahm led to the injury of three policemen by two of the suspects. During the police operation two brothers from the city were arrested, holding a pistol and ammunition. The two men resisted the arrest and first tried to flee the scene in their car while running over two policemen and hitting a police car blocking their way. Other policemen at the scene helped extract the two from their car and one of them was lightly injured during a fight with the suspects. After the arrest, the two suspects were taken for questioning by the police, and the interrogators continued operating at the scene to collect findings linking the two to the offenses attributed to them.